As required by Public Resources Code section 5090.24(h), Duties and Responsibilities of the Commission, Program Reports are submitted by the OHMVR Commission to inform the Governor and Legislature of progress and developments in the state's OHMVR Program. 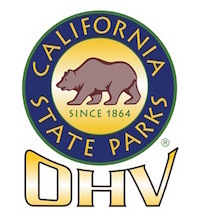 The 2017 OHMVR Commission Program Report is an overarching document that touches on all aspects of California's OHV recreation program. Editor's Note: By legislation, this report was due to be released by January 1, 2017. The OHMVR Commission completed their legislated responsibility and had the report ready for release in early December 2016. The almost 3 month delay is due to meddling by State Parks and the Governor's Office. Overall, the report highlights a well managed government that meets a variety of needs across a wide demographic spectrum.